Don’t put other’s life on the line by not buckling up. If there's one dangerous thing most people are guilty of when riding at the backseat of a car, it's not buckling up. This has been the recent subject for study by the International Institute for Highway Safety (IIHS), where they conducted a survey and found out that 4 out of 5 of the subjects admitted to not using the seatbelts at the rear. The survey revealed that the reason behind why most people don't buckle up are short trips, especially when riding taxi cabs or other ride-hailing services. 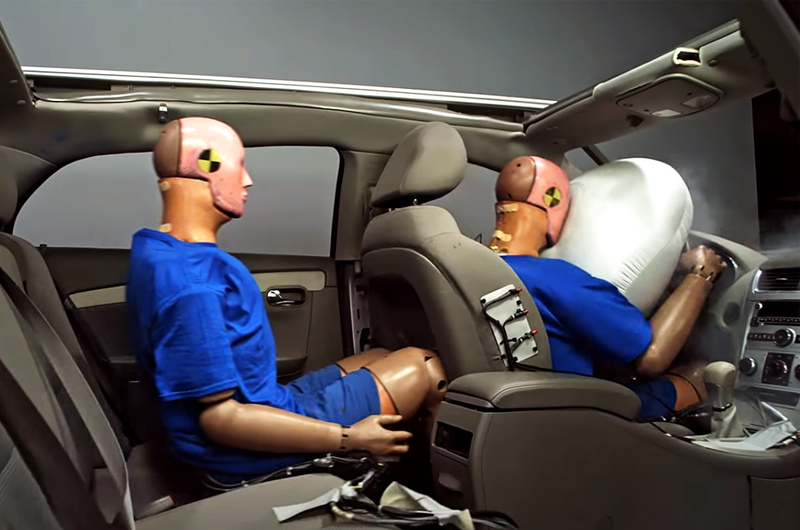 It was also found out that the subjects don't use the back seat safety belts because of the misperception that the backseat is safer. However, the institute found out that this is a serious problem after a simulated 56 km/h impact using 2 crash test dummies. The study found out that during a collision, the person in the rear without the seatbelt could slam at the back of the driver seat. This would result to the driver being squeezed through the deployed airbag and onto the steering wheel. You may watch the video below to fully picture the danger of not buckling up at the rear.